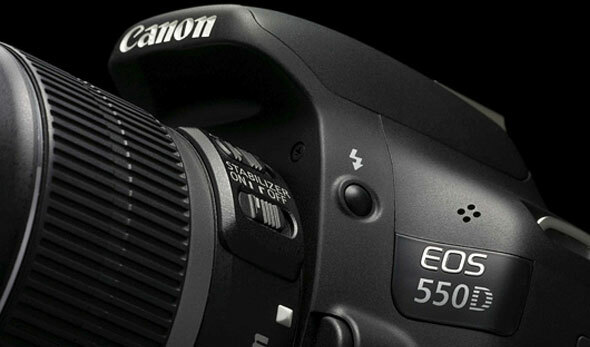 Canon EOS 550D is a very small and lightweight DSLR which is good for aerial photography. I bought a new DSLR for my aerial photography projects a while ago. I knew I should buy a Canon because I already have a lot of lenses and other accessories for their EOS system. The best Camera turned out to be the Canon EOS 550D (Rebel T2i). Compared to the Canon EOS 7D it’s a lot cheaper, yet it has the same image sensor and similar performance when it comes to my needs. The Canon EOS 7D from the factory is better for shooting movies, but when upgrading the 550D firmware to the Magic Lantern it’s actually even better than the 7D. Compared to the Canon 600D it has everything except the flipping screen and some kind of zoom feature. For my needs I prioritize the smaller and lighter housing of the 550D. I now on also use the 55od as my travel camera. It’s obviously not as small as a pocket camera, but it’s small enough so I could bring it for some photos and video footage when I went paragliding. For aerial photography mounted on the multicopter, there is not much to wish for. 1080 60fps would be nice though. For regular photography the only thing I don’t really like is that many features are more difficult to access compared to eg Canon 5D mkII. And there is no output for studio strobes. I can really recommend this camera to everyone who wants a good DSLR for aerial photography. I haven’t yet installed the Magic Lantern firmware, but I will probably do that so I will get some more video features. let us know what feature/setings you use with ML as I also started some aerial video with an heli+T2i. Alright arilght alright that\’s exactly what I needed! To be honest I haven’t installed yet, but it’s on my to do list. Most of the features are more useful for regular film projects. Like the sound levels and zebra stripes are killer features, but difficult to use on board a multicopter. Even if you use an OSD you need a very advanced control system to do the adjustments live.